In A Hurry? Let our Chef's do the slicing and dicing, so that you can heat, serve & Enjoy! 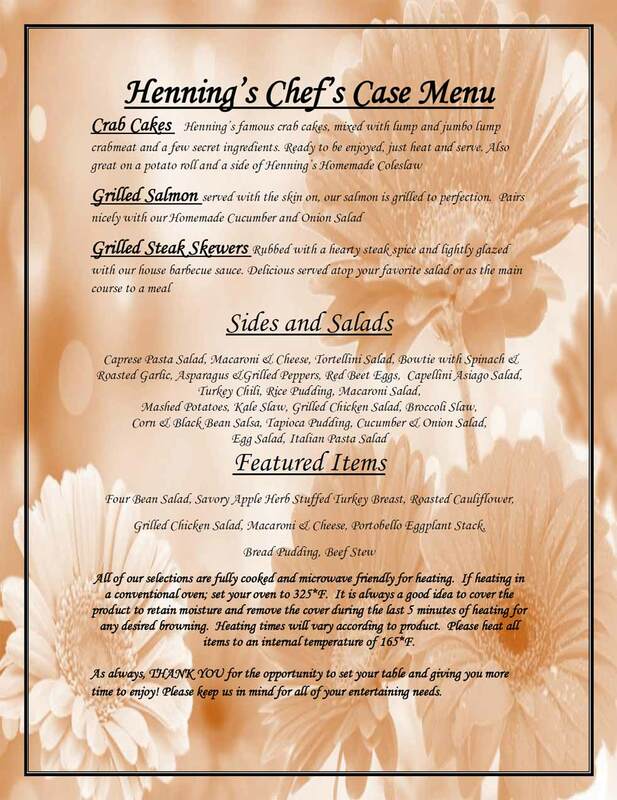 Our Henning's In A Hurry Meal Center provides you with a variety of options to take the "stress work" out of meal time anytime. Click each option to show varieties.